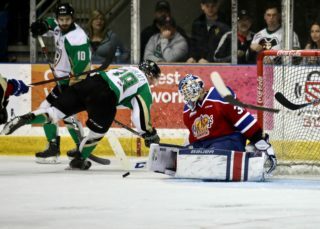 Prince Albert, SK – For the second consecutive year, Prince Albert Raiders defenceman Brendan Guhle will be taking on the Russians. On Thursday, Guhle was named to Team WHL for the upcoming 2016 CIBC Canada Russia Series in November. Last year, he played in both games of the series and finished with a plus-one rating. Guhle was drafted by the Buffalo Sabres in the second round of the 2015 NHL Entry Draft. He returned to the Raiders from the Sabres’ camp last week. Since coming back, he has two goals, four penalty minutes and a plus-two rating. This year’s CIBC Canada Russia Series begins on Monday, November 7 in Prince George, B.C. The next night, the two teams square off again in Edmonton. The series then heads to the Ontario Hockey League and Quebec Major Junior Hockey League. For more information, including how to purchase tickets, please visit chlcanadarussia.ca. 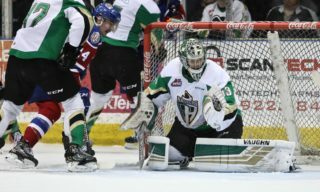 The Raiders hit the road this weekend for a three-game road trip through Alberta, beginning in Edmonton against the Oil Kings on Friday Night in the new Rogers Place. 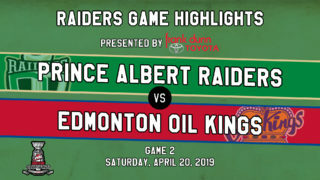 On Saturday, the Raiders are in Red Deer to take on the Rebels. Both games start at 7 p.m. 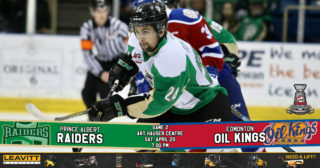 The road trip ends in Calgary on Sunday as the Raiders tangle with the Hitmen. Game time is 4 p.m. 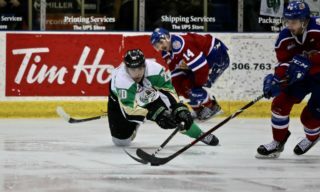 The Raiders return to the Art Hauser Centre on Friday, October 28 against the Spokane Chiefs. For tickets, visit the Raider Office, call 306-764-5348 or click here.